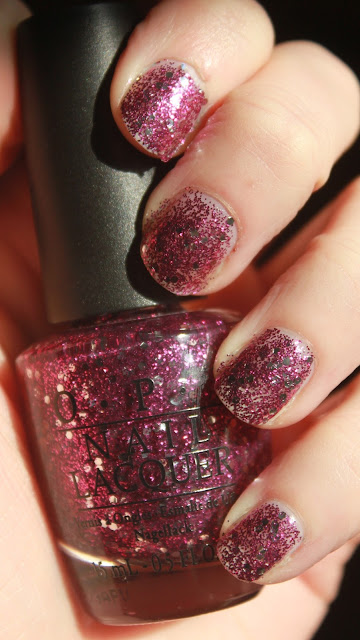 For the third day of 10 Days Of OPI I decided to show you Divine Swine, a gorgeous glitter from the beautiful Muppets OPI Collection. There's 12 gorgeous shades in this collection which include 5 really pretty glitters. I'll be sharing with you another from the collection in this 10 Days Of OPI series. Divine Swine is such a cute name for this pretty pink glitter. This varnish is full of little purpley pink glitter and medium sized silver hex glitter. I absolutely love this glitter! 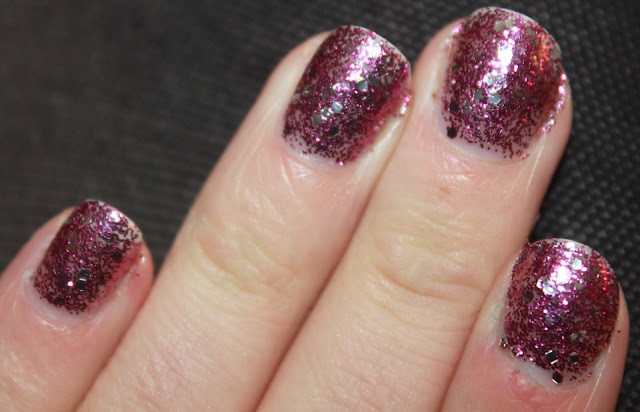 This is ideal for a top coat as the amount of glitter isn't too much and is easily buildable. This picture here I have 5 - Yikes! - coats to show you how gorgeous this glitter is, but luckily it dried quickly! Of course, this glitter was limited edition so can be found in some online stores and Ebay. I luckily picked mine up in a boutique last summer. What do you think of Divine Swine? Do you have anything from the Muppets collection? I have lets see....I think 8 from that collection? Haha! I am obsessed with the Muppets and asked for a few from my stepmom last year for Christmas and ended up with. 8! They are so great! Love this one!